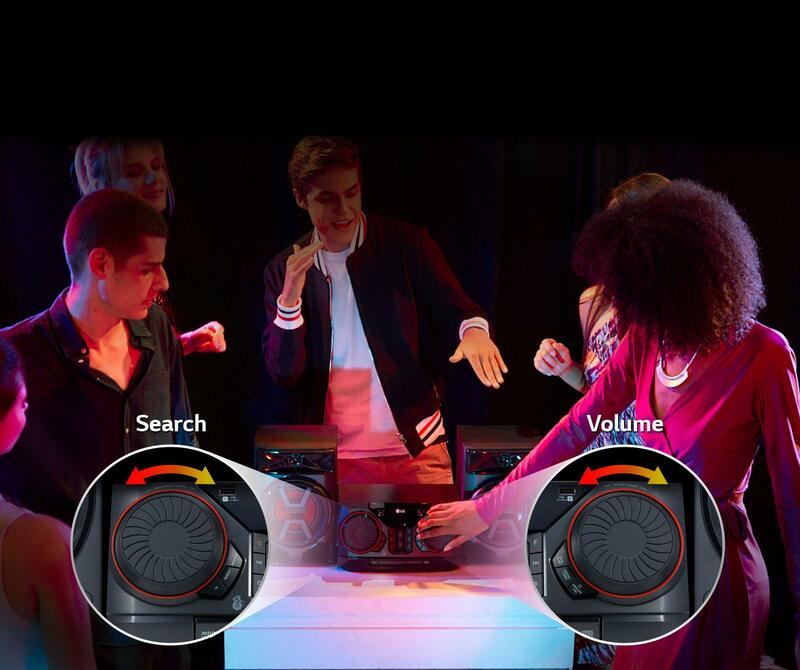 Great tunes can come from a variety of sources, so this speaker system comes equipped with a standard analog stereo auxiliary input as well as a USB port, ready to accept an external drive to conveniently play digital music. Digital music allows thousands of songs to fit onto a small flash drive, but navigating to the right ones can be a hassle. With EZ File Search, use the dials and the clear readout on the LED panel to quickly search folders or tracks. Upgrade your TV sound by connecting this system as an external speaker, then adjust the volume using just the television remote. 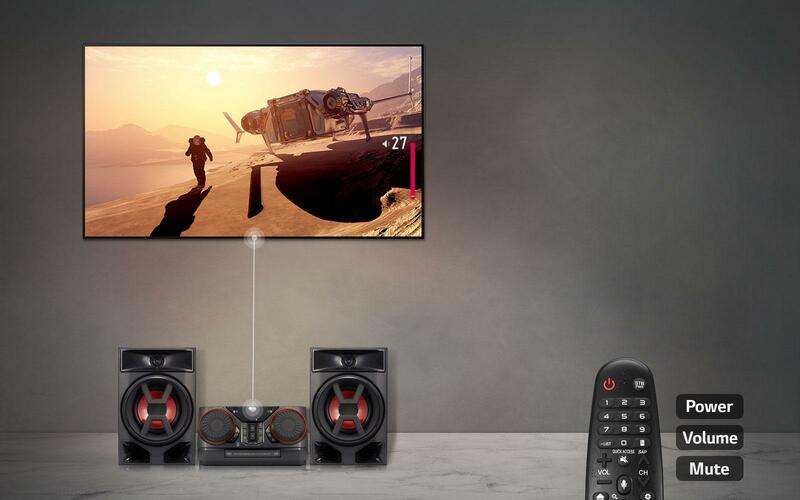 Simply plug an optical audio cable (sold separately) into the TV and sound system, and follow the onscreen instructions to complete the easy setup. 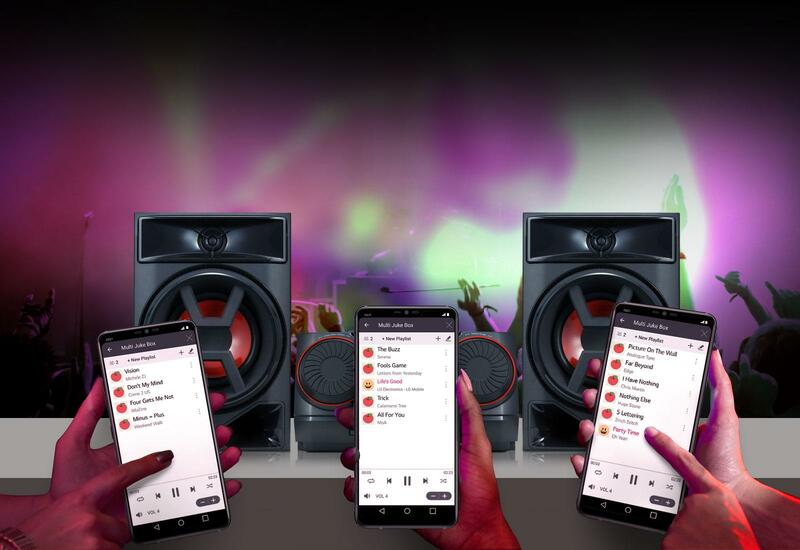 Up to four different people can connect their devices to the speaker system via Bluetooth and build a playlist on the fly, without ever interrupting the party. Pick any available song, then just add it to the queue.